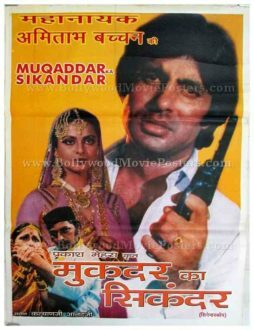 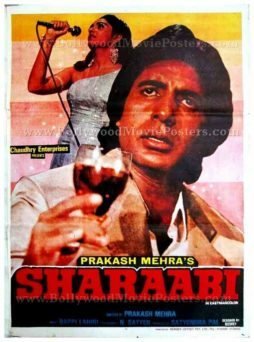 This is an actual surviving vintage poster of the 1984 film that featured the greatest superstar of Indian cinema, Amitabh Bachchan in the lead role. 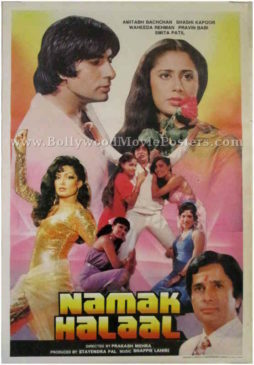 Printed and circulated a few years after the first release of the film, this movie poster was originally designed for publicity of the film but never ended up being used. 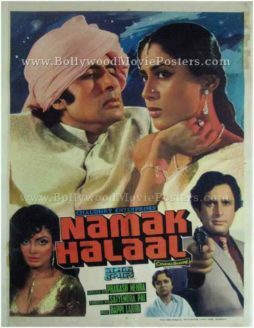 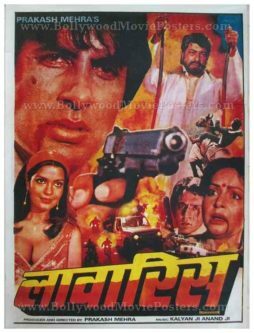 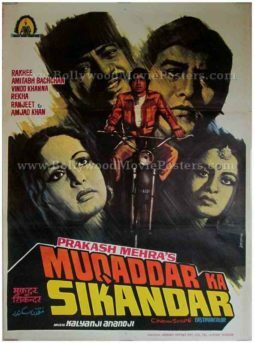 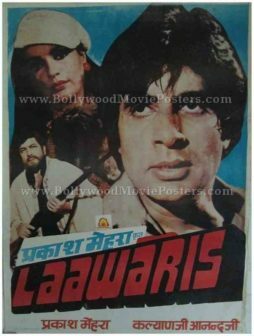 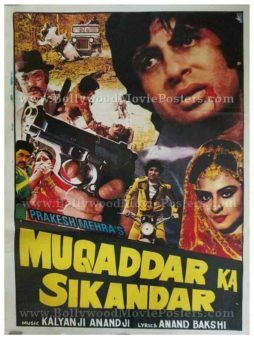 This old Amitabh movie poster was originally designed by cutting out images of actors from separate still photographs (shot on set location) and pasting them on a board. 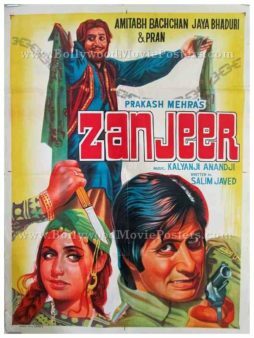 The typography is hand drawn / hand painted, which makes this poster an interesting mix of two very different design techniques. 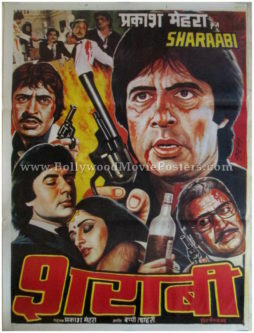 The poster features a large cut out photograph of Amitabh Bachchan holding a glass of whiskey (typifying his character as an alcoholic in the film), with a still photo of lead actress Jaya Prada (who plays a singer in the film) on the top. 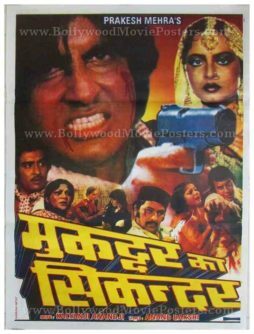 The typography used in this poster is entirely in English.